Scott and Zelda: The Beautiful Fools by Lance Belville Directed by Lynn Lohr Hollywood 1938. 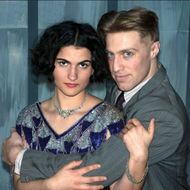 American writer F. Scott Fitzgerald mulls over the events of his career and life with Zelda Sayre from 1918 to 1938. The mental flashbacks take him from Alabama to New York, Paris, the Riviera, Long Island, Baltimore, Ashville and North Carolina. Get ready for a dizzying Jazz Age ride. 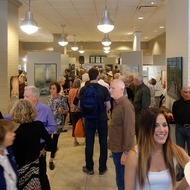 Celebrate the 26th Marin Open Studios by joining art lovers, collectors and artists at the free Preview Gala.In the Exhibition Gallery, Corte Madera Town Center #325, on Saturday, April 27 from 5 pm to 8 pm. Enjoy small bites and beverages. Take home ART from the Silent Auction. 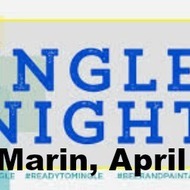 This is THE Art Party of the Year in Marin. Meet new friends at a FUN venue! Only $10 at the door includes complimentary appetizers, served at 7pm, as long as they last; plus a Mixer Game, with prizes, which makes it EASY to meet people. Adults of all ages welcome. Dress to impress. Tuesday, April 23, 2019, 7-9pm. LOCATION: Iron Springs, 901 Fourth St, Downtown San Rafael CA. MORE PARTIES at www.thepartyhotline.com. Who: Copita Tequileria y Comida, the modern Mexican restaurant located in the heart of downtown Sausalito, serving fresh, flavorful dishes inspired by seasonal Mexican cooking, alongside tequila cocktails, is celebrating its seventh anniversary, with a weeklong celebration of fiestas and fun. 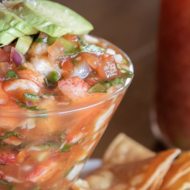 What: Guests will enjoy seven days of anniversary celebrations and an exciting Cinco de Mayo celebration. 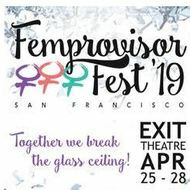 Femprovisor Fest. Together we break the glass ceiling. We put womxn where they belong… center stage! Enjoy improv, sketch, and solo performance with a feminist flair. Featured performers include NYC based hip-hop improv group, “DMXX,” an “I Love Lucy" inspired improvised musical from B.A. Improv (Portland) and local sketch comedy super team, “Granny Cart Gangstas. Bridgewater Certified Public Accountants, Inc. Doctor B is very professional and pleasant. The ambience is perfect and the place is very neat. "Larry was one of my teachers at the Alexander Training Institute - SF. He's cut my hair for a very long time. I would never think of changing my hairstylist. Great barber with a fantastic personality. She took time to make sure everything was just right; and it was. Chad Malm @Magnolia Ave Salon Text or call Chad at (415) 653-3395 Reviews are copied and re-posted from Yelp to TELLi. Dunkirk First Hit: An amazing film that focuses on the event not the actors or their characters. WOW! Gina gave me a complete analysis of my hair and how it should complement my look. Then she proceeded to work. How to fix QuickBooks installation errors? How to Market Your iPhone App?